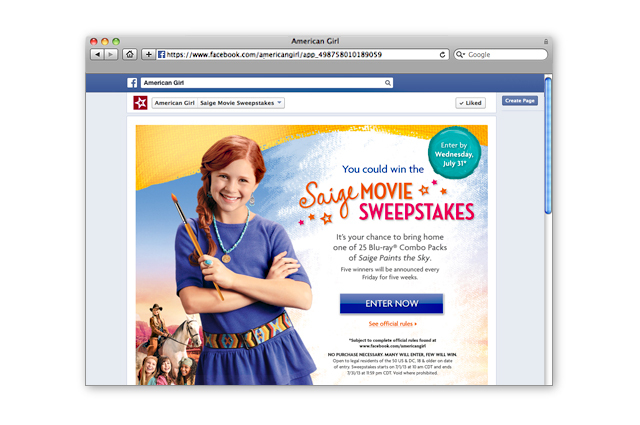 Objective: LITCO has been working with American Girl for the past 15 years on their sweepstakes and online contests. LITCO has consulted on and written over 70 sets of rules for their various brands. LITCO transcribes the rules and works with its legal counsel to ensure all rules meet the requirements on a state-by-state basis. In many cases, LITCO has also managed the winner notification process.